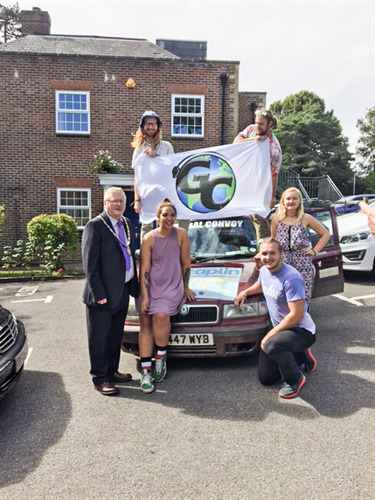 ​The Mayor greets Max White from Haywards Heath after his global convoy voyage around the globe in a £75 Car! Please click here to read the full article. 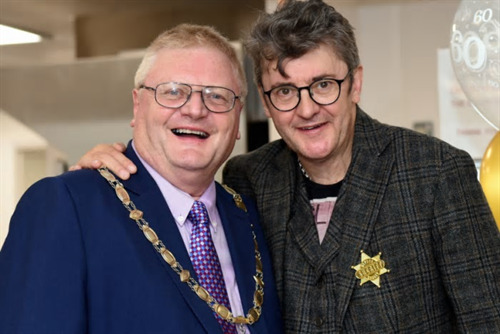 ​The Mayor delighted to attend the 60th Anniversary of AGE UK West Sussex and the Grand Opening of its new Haywards Heath Centre by Comedian Joe Pasquale. Please click here to read the full article. 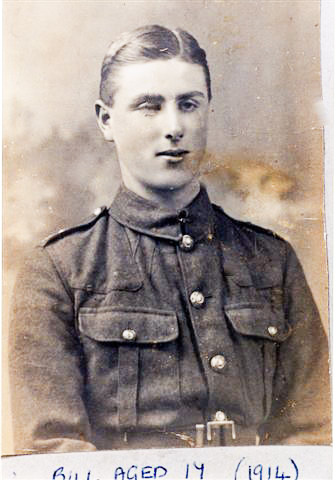 ​Local War Veteran honoured 100 years after his death - Service of Remembrance held for William Arthur Overton, Please click here to read the full article. New Mayor Unveils Exciting Plans for Town - Newly Elected Mayor, Cllr James Knight and Deputy Mayor, Cllr Alastair McPherson announce plans for their town. Please click here to read the full article. Winner of Haywards Heath 'In Bloom' (HHIB) Art Competition Announced - The Annual Tea Party was hosted by Cllr Sandy Ellis, Chairman of HHIB to announce this year's winner. Please click here to read the full article. 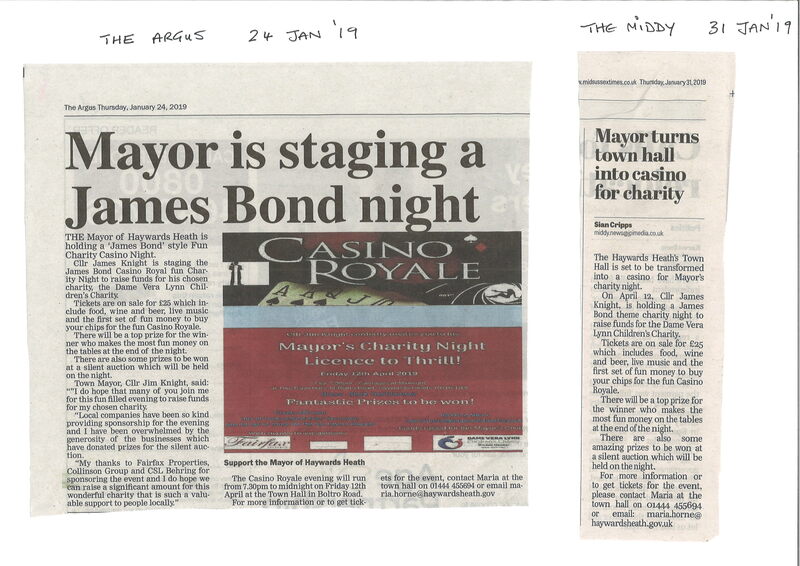 New Mayor joins the Air Cadets for their Annual Squadron Dinner & Awards Evening - Cllr James Knight was delighted to attend the 172 Squadron's Mess Dinner & Awards Evening. Please click here to read the full article. 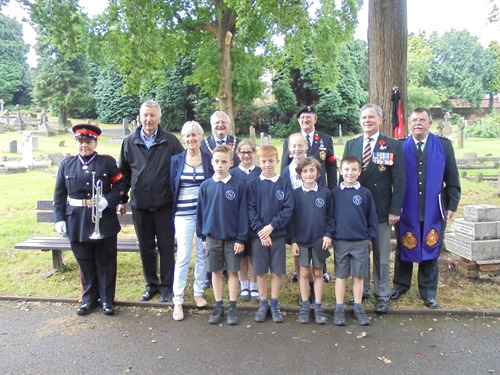 One Great Day at the Orchards ​- The Mayor was delighted to support the annual One GREAT Day event which raised over £4,000 for the Children's Hospital. 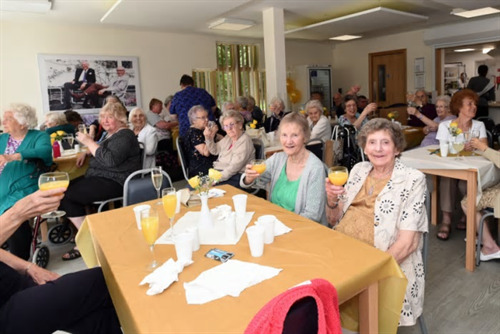 Dementia Day Draws 200 Visitors - The first HHDAA Free Dementia Day, opened by Call The Midwife Actress Judy Parfitt and the Mayors of Haywards Heath, East Grinstead and Burgess Hill, was held on Tuesday 16 May at Clair Hall. 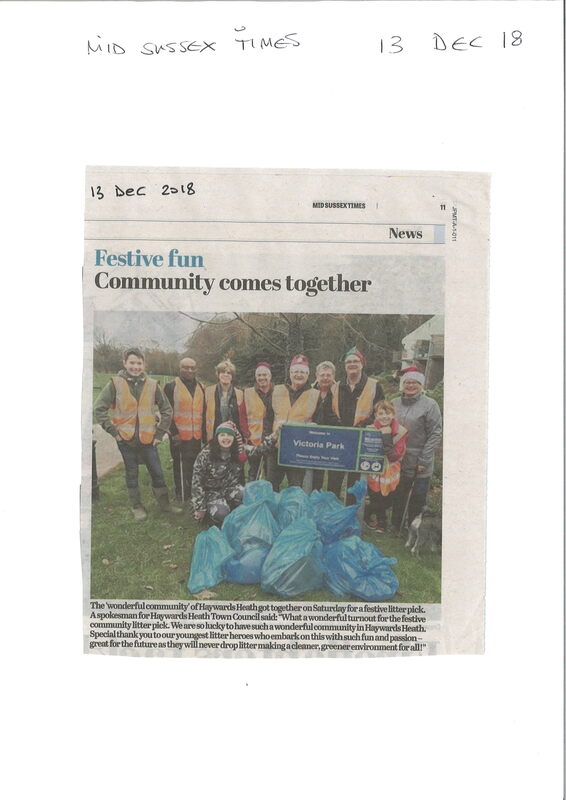 Please click here to read the article from the Mid Sussex Times.